Super easy vegetable sides for simple weeknight meals! If you are running out of ideas when it comes to vegetable sides for dinner, this post is for you. When the weather turns cold, I turn to my easy fallback for vegetable sides: a bag of frozen mix of peas, corn, and beans. Do you do that too? 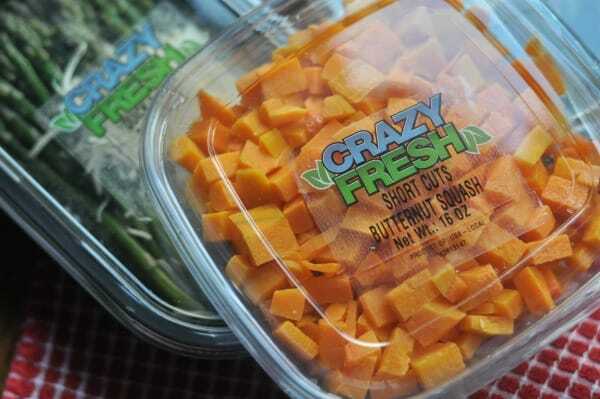 Crazy Fresh Produce asked me if I wanted to try something new for vegetable sides and I was so excited to try something that I could feel good about feeding my kids and is still easy. It must be easy!